In a recent appearance at the Boston College CEO Club, GE’s Jeff Immelt remarked that one of the reasons GE is moving its headquarters to Boston is that he wants to be in the “sea of ideas” driving the innovation and change that surrounds the industrial internet. In his words, he wants people “terrified and paranoid” because all the innovation and change around them could make them obsolete if they don’t evolve and grow, too. Shouldn’t partnering models and practices evolve, too? Yes! We believe they must to adapt to the increasing number of diverse and different partners, as well as the needs for agility, speed, and experimentation occurring in today’s increasingly complex business environment. Regardless of industry, companies are experimenting with new business models and practices – be it incorporating a platform model, such as the Digital Health Suite from Philips Healthtech or GE’s Predix cloud-based platform for the industrial internet; trying their hand at outcomes based pricing, as in some of the current experiments about paying for expensive oncology medications, or “selling” capital equipment with payments coming in the form of factory operating efficiencies enabled by the Internet of Things. Each of these various models require partnering within connected ecosystems, which has different requirements for success than traditional one-to-one or even multipartner partnering. The fundamentals still apply, but how we go about it needs to evolve and adapt to the agility, speed, and scale of partnering today. The unique aspects of ecosystem partnering must be considered, such as driving overall ecosystem value, not just lifetime value of the customer; governing in a more open system while promoting both agility and stability, and shifting roles amongst participants. Connected ecosystems are complex. They can have many different types of partnering relationships, including tightly connected, such as a biopharmaceutical asset co-development and co-commercialization alliances or 360 commercial relationships, as well as more transactional relationships, such as a reseller. Companies may not even realize that their partner thinks of them as a member of an ecosystem. There is another dynamic at work: the “always-on” customer is finally, truly in control, requiring a consistent experience across any channel through which it interacts with a business. This requires companies to design and develop solutions from the customer experience back. And in a world where partners have choices, it is wise to think from the partners’ experiences back, too. The ability of companies to control their partners by dictating terms and conditions is quickly coming to an end. These two dynamics – complexity and a focus on customers’ and partners’ experiences – make the revamping of partnering practices for connected ecosystems a perfect candidate for the application of design thinking – what we refer to as Partner By Design™, the methodology developed in conjunction with Alliancesphere, our partner in the SMART Partnering Alliance. When you Partner By Design, you follow a data-driven learning process to move beyond the “best practices” that are defined by the traditional environment Immelt and other business leaders know is rapidly coming to a close. 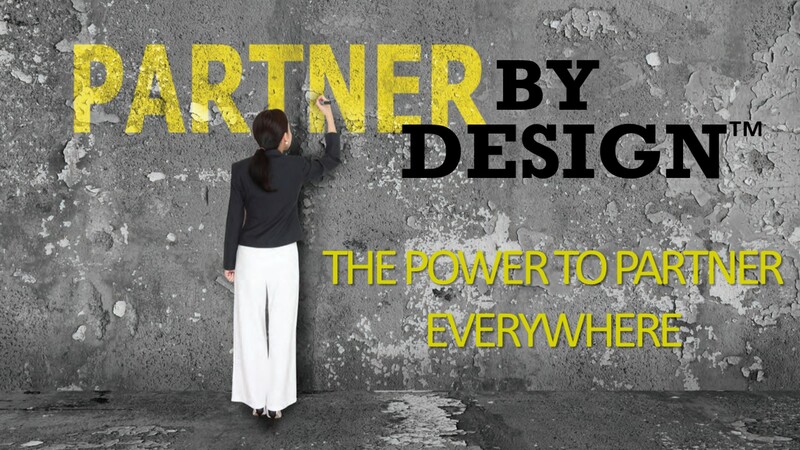 You follow simple principles to redesign your partnering practices so that they have the characteristics required for success in today’s business context – in the evolving context of the connected ecosystems your business operates within. Update: View the ASAP webinar, Mastering the Speed, Scale, and Scope of Partnering in Connected Ecosystems from April 28, 2016 to learn more about how to apply design thinking to partnering.